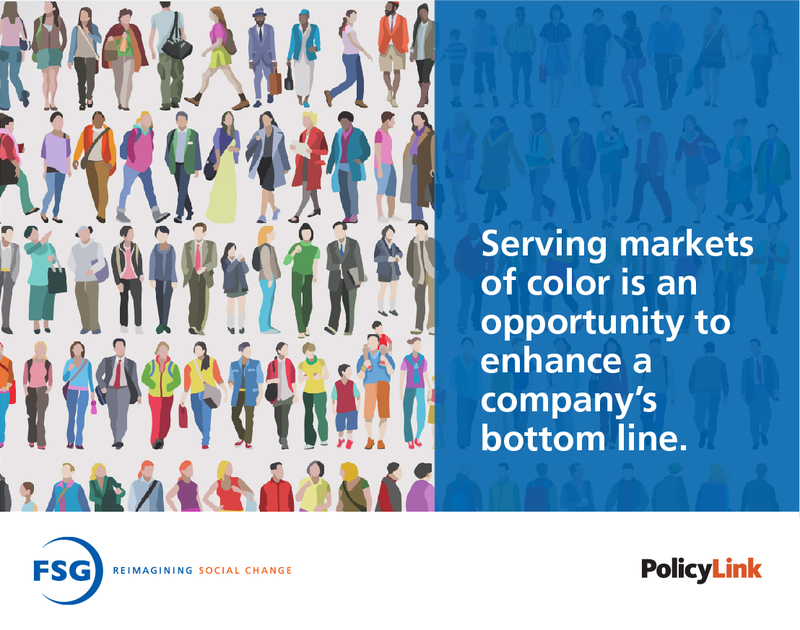 New research from @FSGtweets & @policylink on how companies can advance #racialequity and create business growth. #sharedvalue http://ow.ly/drXp50pSmgK Research funded by @RWJF. People of color in the United States suffer worse socioeconomic outcomes in most aspects of their lives—health, education, career, access to financial services, or experiences with the criminal justice system—than their White counterparts. If customers, employees, and suppliers continue to experience racial inequities, then businesses will suffer from a less productive workforce, missed market segments, and fewer suppliers from which to choose. However, companies that focus on creating racial equity are poised to produce great benefits for all these stakeholders. New research from FSG and PolicyLink, funded by the Robert Wood Johnson Foundation, identifies actions that can help companies prosper by addressing the distinctive needs of customers of color. “All too often, diversity and inclusion practices at companies can be peripheral to corporate strategy, product development, and operations, and this limits their ability to address many critical aspects of racial inequity. Our research highlights the importance of practices companies can use to advance racial equity through their core business,” says, Mark Kramer, FSG co-founder and managing director.